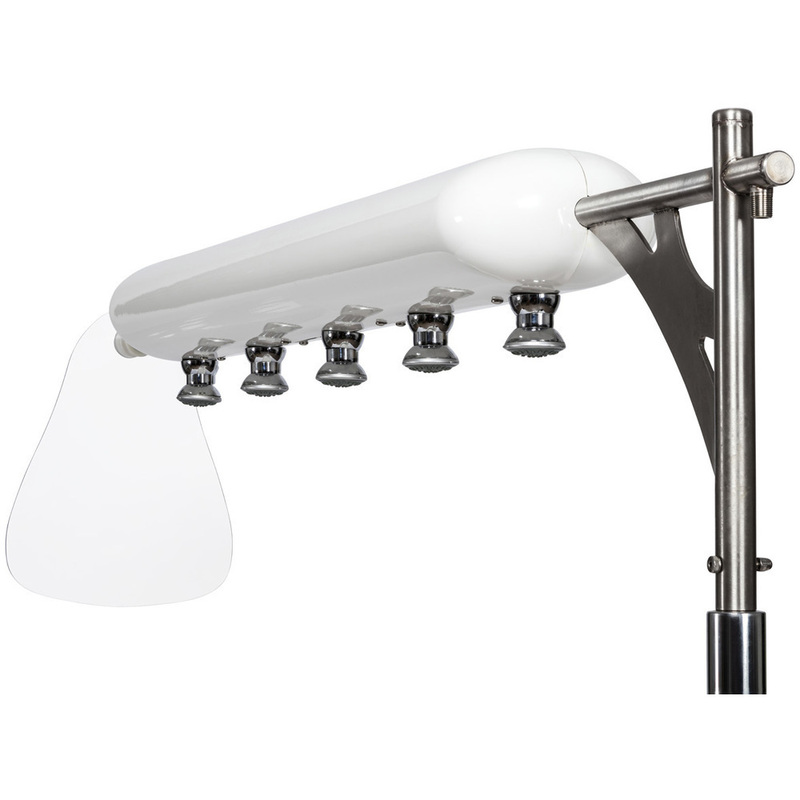 The Equipro Vichy Shower offers a great shower experience, every time. 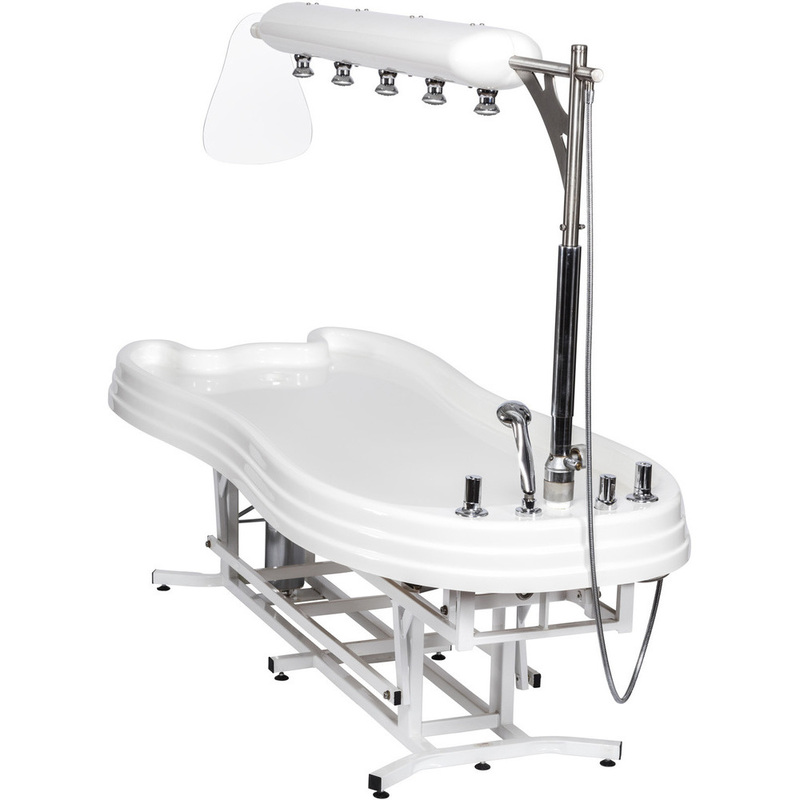 A Vichy shower is a form of hydrotherapy and lets your clients get a warm luxurious shower while lying down on a wet table as part of a body treatment, such as a salt scrub, body mask, or body wrap. Instead of jumping up and getting in a stand-up shower to rinse off the salt or mud, the client simply lies there. 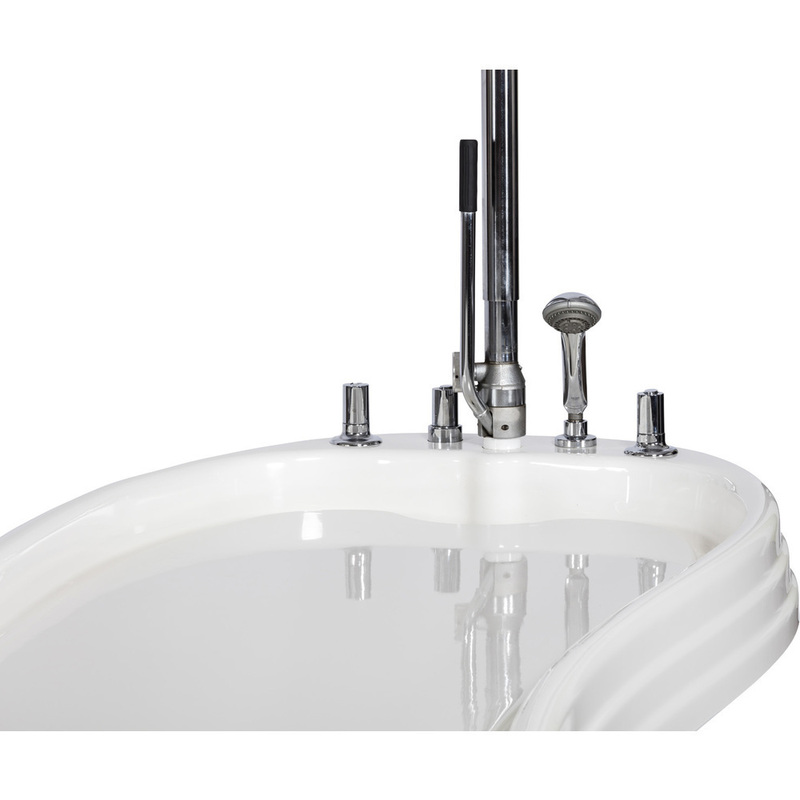 When the water is turned on, it cascades over the entire length of your client's body, then channels to your tiled wet room floor, where it drains away. The cascade of water feels delicious! 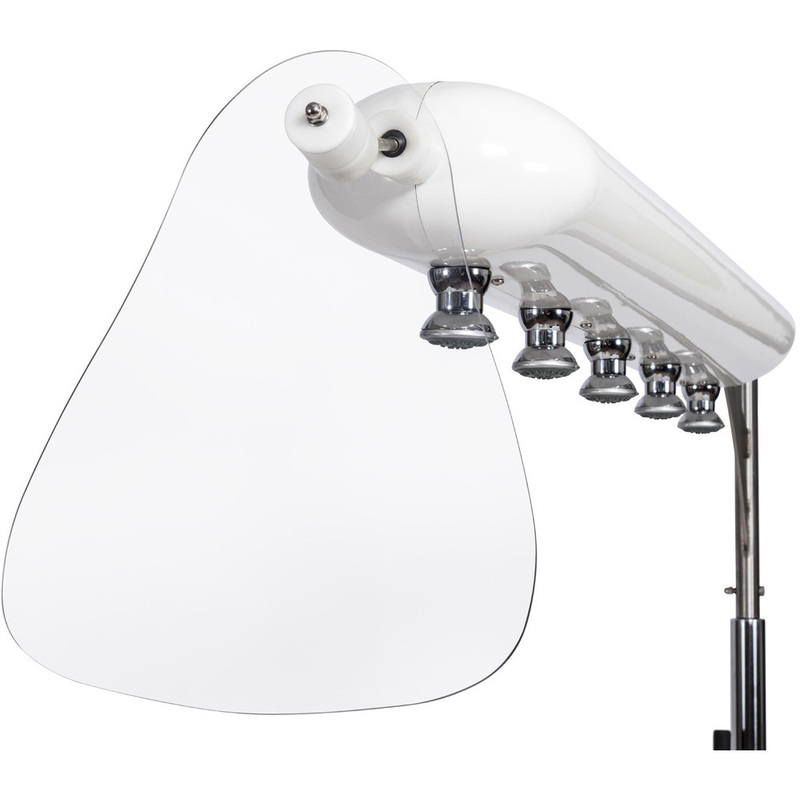 The Equipro Vichy Shower offers phenomenal coverage with 5 adjustable and independent jets and a continuous range of sensations from a soft relaxing spray to a deep, therapeutic massage and everything in between. 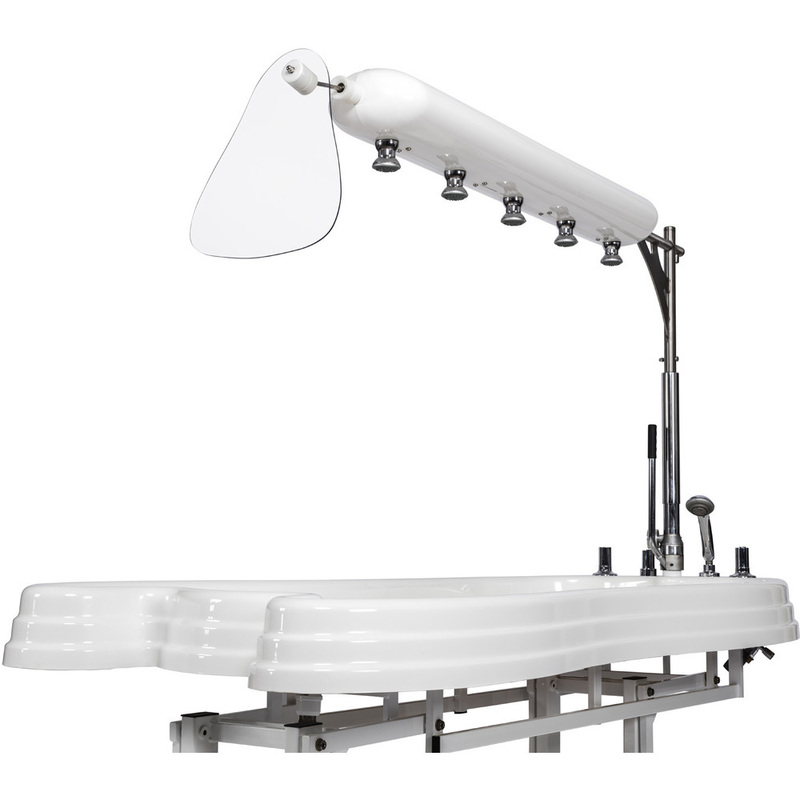 The protocols for Vichy showers differ, but American spas generally make a Vichy shower part of a body treatment or a more extended signature service. 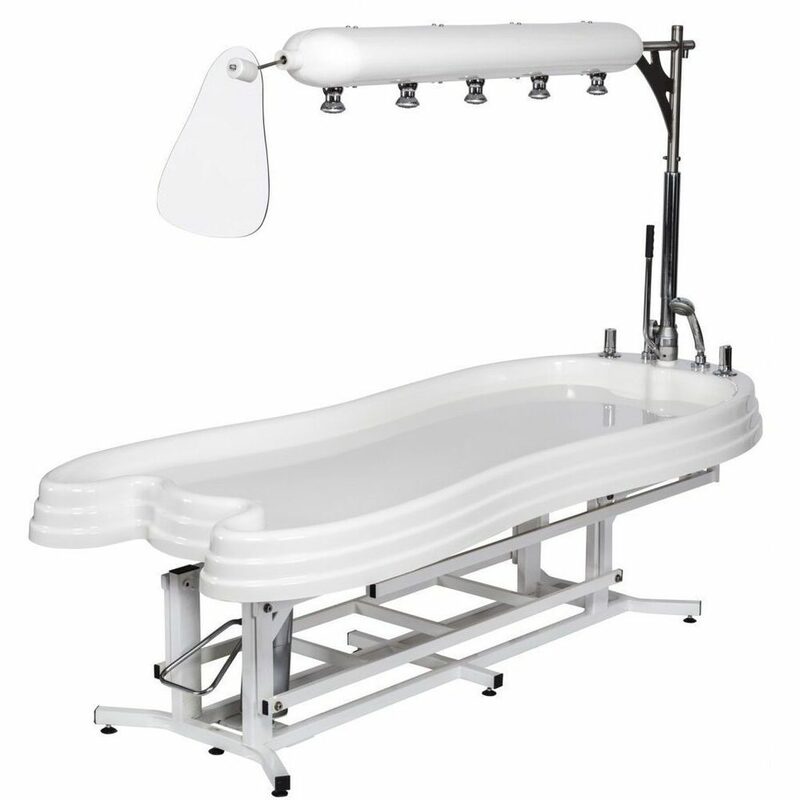 Adjustable table height from 23" to 38"
The Equipro Vichy Shower ships in a large crate.